Mechatronics Engineering is the efficient and effective integration of mechanical systems, IT and electronics. It is a blend of mechanics and electronics, and uses precision engineering, control theory, computer science, mathematics and sensor technology, to design enhanced or “smart” products, processes and systems. Mechatronics Engineering is the combination of Mechanical, Electronic and Electrical Engineering for the design, manufacture and maintenance of systems that use microprocessors and actuators to control mechanical processes. The key element is the integration of these different areas into the design process from start to finish. Mechatronics engineers understand how to do this and enable the intelligent operation of mechanical systems. It also involves installing, operating and modifying mechanical and electronic equipment and in areas like manufacturing, aviation, robotics and defense. Demand for qualified engineers in Malaysia is increasing. In order to succeed in the engineering field, students must choose a top private university in Malaysia that has the experience and facilities to equip you with the knowledge and skills for a successful career. Students who are active, creative, like machines and robots and are good in subjects like Add Maths and Physics can consider the degree in Mechatronics Engineering. 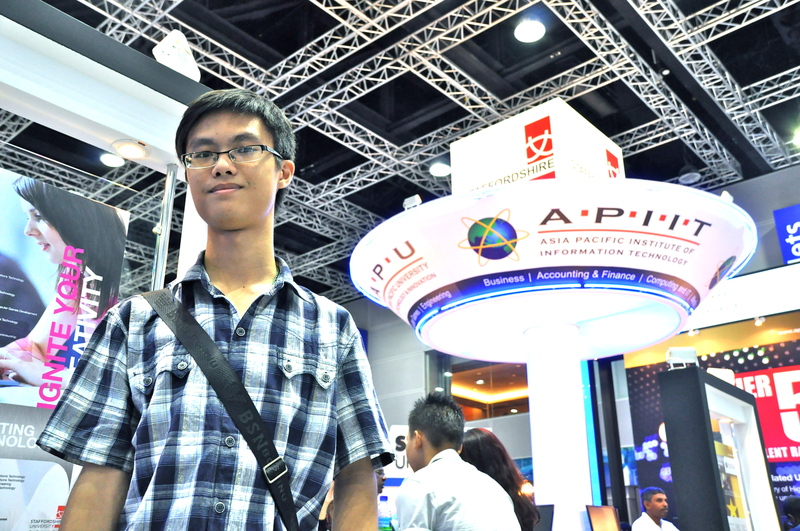 Students can consider studying Mechatronics Engineering at Asia Pacific University or UCSI University which are recognised by the Malaysian Ministry of Education. 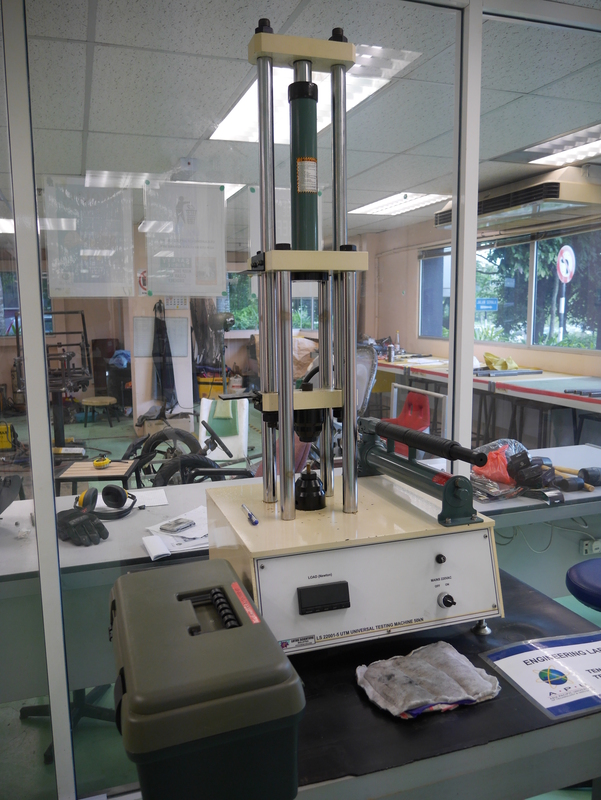 Their courses are accredited by MQA and the Board of Engineers Malaysia (BEM). Both top ranked universities are very established in offering engineering programmes in Malaysia and have more than 20 years of experience and are the best universities in this field of study. The engineering working world is very competitive and students must arm themselves with the necessary skills and knowledge to succeed. This means that they should choose top rated universities in Malaysia for their engineering studies. There is a high demand for qualified engineers in Malaysia therefore jobs are easy to come by and salaries are high. Top Private universities in Malaysia offer an affordable option for students who cannot get into public universities or go overseas to study. 30% of the CEOs in Malaysia’s 50 largest companies posses a basic engineering degree. Engineers and technical minded individuals tend to have a certain advantage because they are very structured and solutions-based. Malaysia needs at least 200,000 engineers by 2020 in order to attain the status of a developed nation. Currently, there are 70,000 registered professional engineers in Malaysia with the Institute of Engineers Malaysia (IEM). There are types of engineering fields and specialisations within those fields. Engineering is one of the highest paid careers of the modern world. The quality of the programmes of some universities are of high standards and accredited by the Board of Engineers Malaysia (BEM) which provides recognition for graduates who want to work overseas. Students after SPM or O-Levels who are sure of choosing engineering for their degree studies may go for the Foundation in Engineering. Entry Requirements for the Foundation in Engineering will vary from university to university. If you are still not sure whether you want engineering or other science courses, you may choose the Foundation in Science programme at premier private universities in Malaysia. Alternatively, students may enter an engineering diploma course such as the Diploma in Electrical & Electronic Engineering or Diploma in Mechatronic Engineering with at least 3 credits in SPM or O-Levels including Maths & Science. Upon completion of the engineering diploma course students may enter into Year 2 of the Mechatronic Engineering Degree programme . Pre-University graduates in Malaysia from programmes such as UEC, STPM, A-Levels, SAM, CPU, AUSMAT and others may enter directly into the BEM Accredited Engineering degree programme providing they meet the minimum entry requirements. sensor technology, to design enhanced or “smart” products, processes and systems. manufacture and maintenance of systems that use microprocessors and actuators to control mechanical processes. Mechatronics engineers also have roles in project engineering where their cross disciplinary knowledge gives them an edge on mechanical or electrical engineers. Mechatronics engineers can work with electrical and mechanical systems together and solve problems that cross discipline boundaries. Their strength in IT, computer hardware and networking as well as software also helps them to be very versatile problem solvers. Mechatronic Engineers are also involved in the design, construction and running of factory production lines and processes, where they use their skills in computers; micro-controllers; programmable logic controllers; programming; industrial sensors; hydraulic, pneumatic and electric drives; design of mechanical structures and mechanisms; and knowledge of manufacturing processes. A mechatronics engineer unites the principles of mechanics, electronics, and computing to generate a simpler, more economical and reliable system. Its application areas range from power systems to transportation to optical telecommunications to biomedical engineering, along with a host of others. Mechatronic systems are almost everywhere you look. For example, it can be applied to the automotive industry in the increasing combination of the mechanical part of the engine with electronics and artificial intelligence. Another example is the Mars Rover that NASA built to send to planet Mars for research gathering purposes. 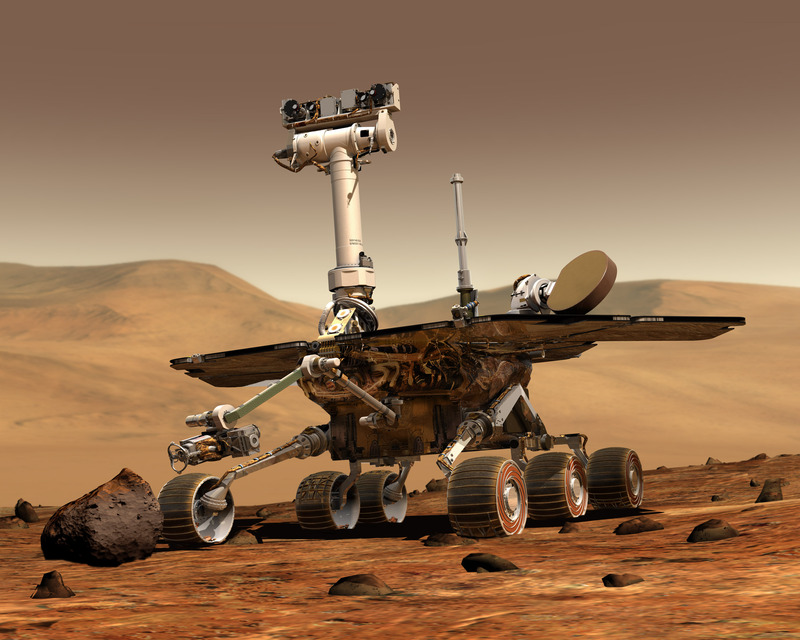 The Mars Rover was the product of several years of research and development to ensure engineers on earth could effectively control the Rover on the unpredictable terrain of the planet Mars. It had to be able to negotiate any terrain encountered as well as perform fine motions to grab and sample rock and soil – much like expecting a rugby union prop to also be an accomplished ballet dancer! Of course that call occurred after a brilliant and novel Mars landing strategy was developed. Cars need brakes. Cars have always had brakes. But the design of brakes has been improved over time, making them better, more responsive and safer. Now, thanks to modern sensing, actuation, computing and control technologies, braking systems are more amazing than ever before. Using technology to adjust the braking system in a split second has meant brakes are more responsive and deliver the greatest coefficient of friction possible. surroundings and can make decisions. These smart machines are complex beings made up of several parts: the mechanical system itself, the sensing and actuation, the control systems and the software. The opportunities available to develop such intelligent machines are ever evolving. The future is virtually unlimited for mechatronics, and much of it is here today. Robotic systems and components are already as small as a few microns and researchers are investigating nano-technologies using mechatronic systems for implantation into the human body to repair or replace damaged physiological functions. The next two decades will see an explosion of automated mechatronic systems infiltrating our lives more and more every year – improving our quality of life and our knowledge of the world and universe we live in. Offices, homes, factories, and more are becoming more and more mechanised to be efficient. 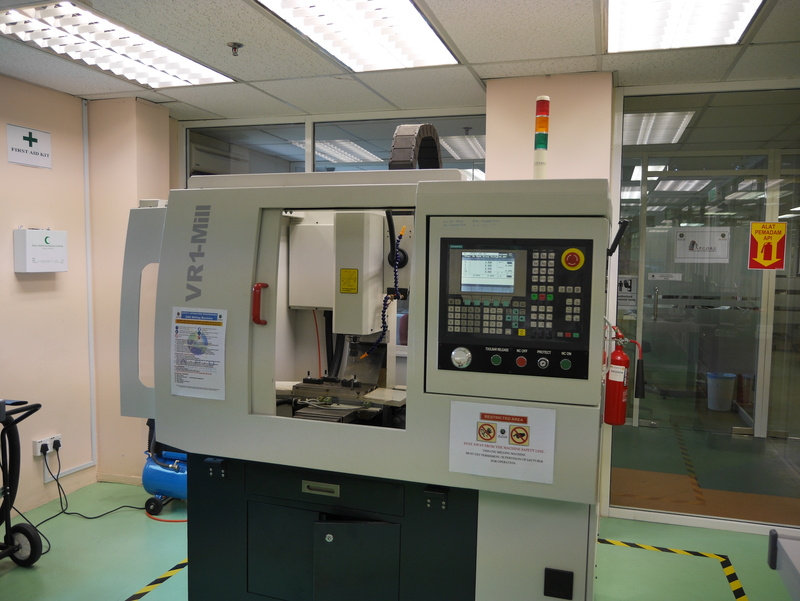 What do Mechatronics Engineers work as in Malaysia? Mechatronics combines mechanical, electrical and software engineering in the design, development and control of diverse systems used in a range of industries including manufacturing, medicine and the service industries. 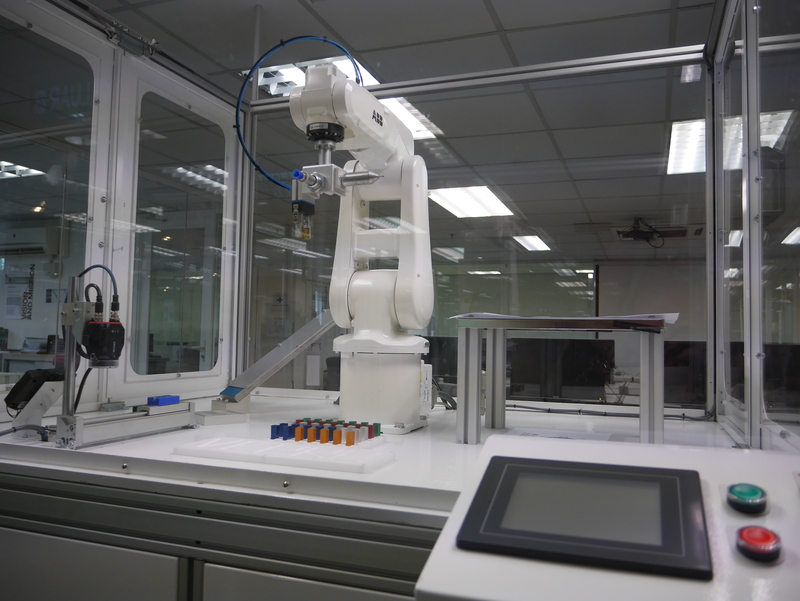 Examples of mechatronic systems include aircraft, dishwashers, motor vehicles, automated manufacturing plants, medical and surgical devices and systems, robots of all types, many toys, artificial organs and many others. There is an increasing demand for engineering graduates who are able to work in an interdisciplinary environment. Mechatronics Engineering is a new discipline that is combines electronics, control, software, computer and mechanical engineering. Modern mechatronics is about the integration of electronics with mechanical design to create intelligent systems. From fuzzy logic controlled washing machines to space exploration, mechatronics and robotic systems are at the forefront of technological developments. The word ‘mechatronics’ might still not be recognised by some dictionaries even today, but it has been in use for quite a while now. It first surfaced in Japan in the 1980s and represents the discipline of engineering that is associated with robots and automation. Without a doubt, the engineers who choose this field do share an interest in building robots that are able to perform a variety of functions, for one purpose or another. development to manufacturing to advanced research. Some of the products of mechatronic engineering include everyday gadgets like cameras, printers, washing machines and automatic doors. Others include parts of the car and airplane, robotic arm, etc. Graduates with a Mechatronics degree can take up careers in a wide range of industries including robotics, aerospace, chemical, defence and automotive and manufacturing where complex software plays a major role, as well as in businesses that require extensive computer support, such as banking and commerce. Contributions can be made to these industries in a variety of roles including design engineer, software engineer, project planner, product designer and project manager. Engineering principles learnt at different levels are enhanced by exposure to practical sessions supported by hands-on laboratory work. This is undertaken in the fully-equipped laboratories for Analogue and Digital Electronics, Communication Engineering, Power System, Robotics, PLC Controls, Pneumatics and Automation, Mechanical Equipment, Mechanical Workshop and as well as Materials and Testing Laboratories. 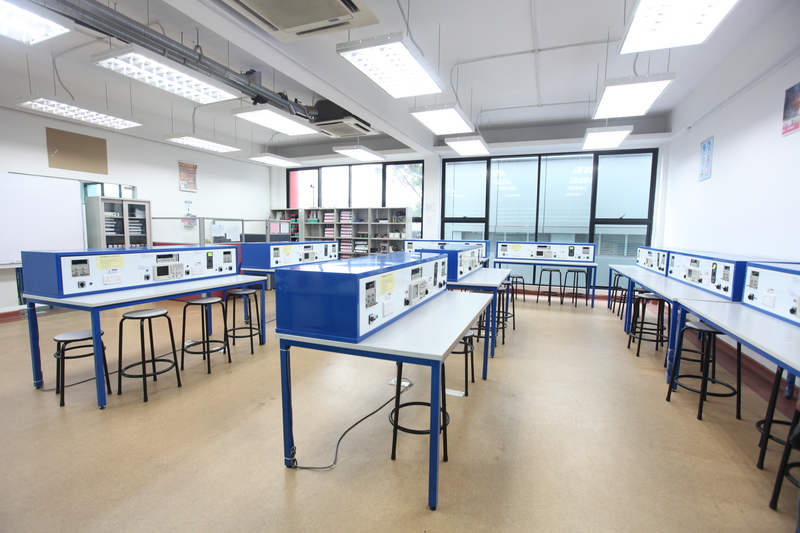 In order to enable students to learn and understand the latest high-tech engineering design and simulation techniques, software such as Matlab, Labview, Multisim and Autodesk Inventor have been installed in the Engineering Design laboratory. Students can all these facilities to complete engineering assignments and design projects. The Final Year Project rooms allows students to focus on project development in parallel the APU Centre of Robotics Engineering allows for students to engage with advanced Robotics research work. High-quality undergraduate engineering education by providing students with a curriculum that is firmly grounded in Mechatronic engineering fundamentals. A study of basic engineering sciences and fundamentals of mechanical, electrical, electonics and computing engineering. Students will be to integrate these four diverse. The technical skills to design, analyse and test “intelligent” products or processes that incorporate suitable controller, sensor and mechatronic devices for robotics and automation. in the areas of Circuit Analysis, Analogue and Digital Electronics, Engineering Materials, Engineering Statics & Dynamics and Engineering Design. Here, you start specialising in modules that develop the necessary underlying knowledge and skills in Mechatronic Engineering. Further, in-depth Electronic and Mechanical skills are developed here with modules such as Electromagnetic Field Theory, Engineering Software & Applications, Analogue Electronics, Digital Electronics, Sensor & Actuators, Introduction to Power System, Signals & Linear Systems and Strength of Materials. Engineering Mathematics is provided for the better understanding of the engineering modules. Communication Engineering Principle, Thermodynamics & Heat Transfer, PLC & Pneumatic System, and Numerical Methods & Statistics, are a critical focus of this level. There is further development of the ability to apply relevant engineering skills with strong critical thinking and analysis. for employment upon graduation. 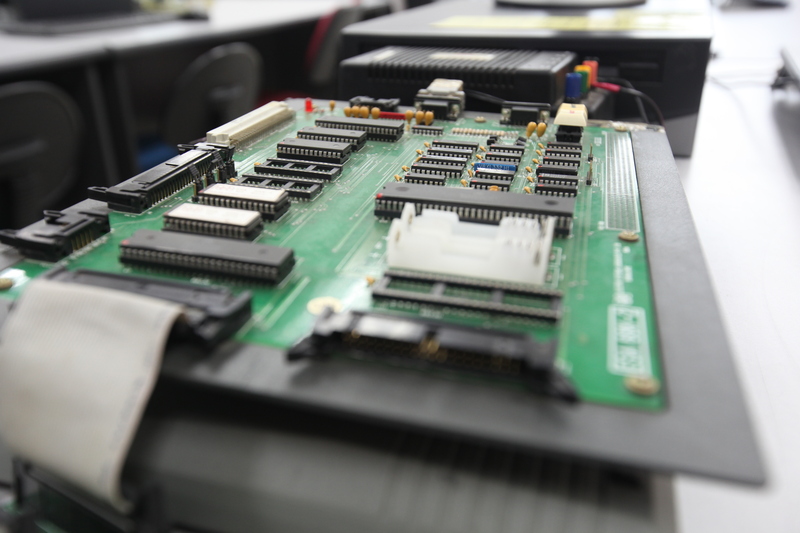 These modules include, Product Creation Technology, Mechatronic Design, and Fluid Mechanics. Your personal and professional development is enhanced by the module in Engineer in Society and Engineering Project Management. You will enhance your technical capability and understand how to innovate, generate and manage the creation of new ideas. The Project Phase I (Investigation) in Mechatronic Engineering will enable students to take on R&D with commercialisation. The Mechatronic Engineering Project Phase II (Implementation) also develops the academic and practical aspects of your chosen areas of study and reinforces your independent learning skills. This is where you will demonstrate higher level critical thinking, analysis and solutions development skills which will enhance your employability. This accreditation ensures that APU Engineering Graduates will have the following benefits in countries who are signatories of the Washington Accord: Opportunities to register as a Graduate Engineer with Board of Engineers Malaysia (BEM) or the relevant professional bodies in other countries who are signatories under the Washington Accord. Pathways to becoming a Professional or Chartered Engineer. Assurance that graduates are considered as having met international academic standards for engineering practice. International Recognition APU Engineering Degrees are Accredited Professionally by the Board of Engineers Malaysia (BEM) and are therefore recognized internationally under the Washington Accord. Recognition under the Washington Accord allows for APU engineering programmes to be recognized by countries such as Australia, Canada, Taiwan, Hong Kong, Ireland, Japan, South Korea, Malaysia, New Zealand, Singapore, South Africa, Turkey, Russia, the United Kingdom and the United States who are all signatories of the accord. Professional/Chartered Engineer status or for further education progression. Furthermore, many countries which are not yet signatories to the Washington Accord also use this as a benchmark in recognizing Engineering Degrees. Graduate Engineers with Board of Engineers Malaysia (BEM), if they choose to work overseas in Washington Accord signatory countries; they can also register as Graduate Engineers. 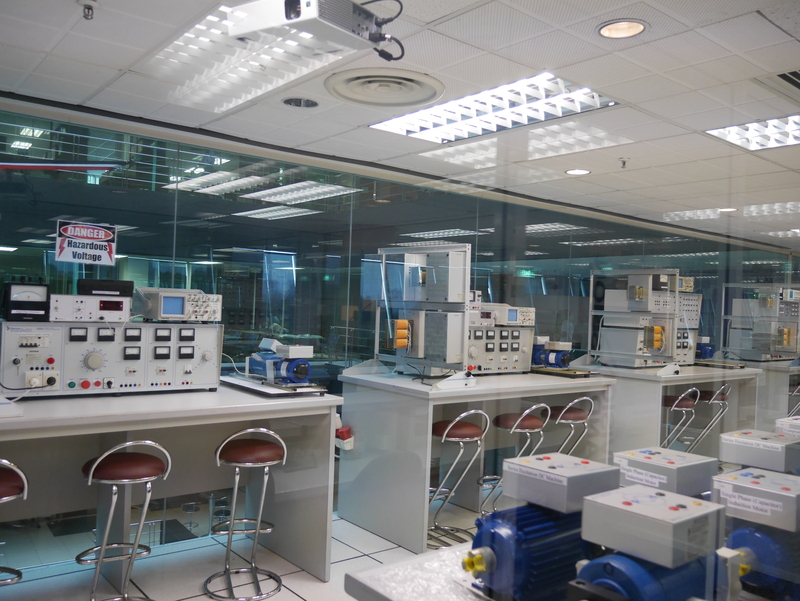 The BEM accreditation and recognition by MQA ensures that Asia Pacific University is one of the best universities in Malaysia to study Mechatronic Engineering. Mechatronic Engineering is a field that integrates various components in different engineering disciplines – such as electronics, computer and mechanical engineering, among others – to meet the increasing demands of complex and sophisticated industries. 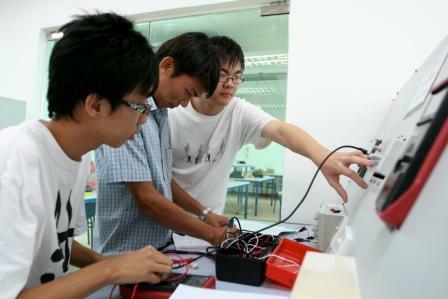 In mechatronics, students are equipped with the essential skills in industrial technology and learn a combination of mechanical, electronic and computer science techniques to design, fabricate, assemble and maintain automation and modern manufacturing systems. The Mechatronic Engineering programme at UCSI University encompasses three major engineering fields, with a well-balanced focus on Electrical and Electronics, Mechanical and Robotics and Automation Engineering. the needs of the industry and to meet challenges posed by emerging technologies. UCSI University’s mechatronic laboratories are well-equipped with the latest equipment and software packages to enhance the students’ learning experience and expose them to the latest technology in the market. The course aims to provide the industry with a new generation of engineers armed with interdisciplinary skills essential in managing modern engineering tasks such as designing, maintaining, calibrating, selecting, and procuring advanced integrated systems. Placement Training Scheme at the end of their 2nd and 3rd academic years. This allows students to learn and familiarise themselves with a real-life working environment. University is famous for engineering courses being one of the first private universities to offer engineering courses. 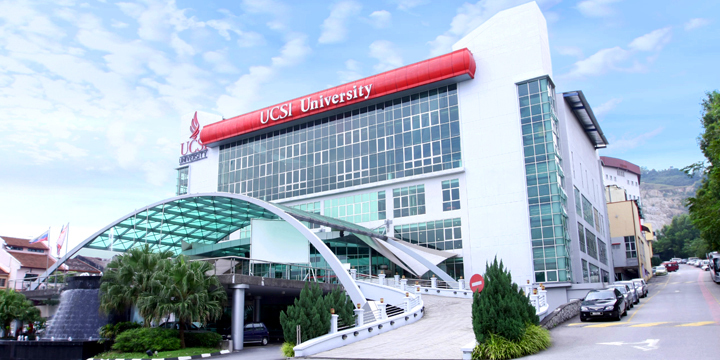 Together with the BEM recognition, experience and unique Co-Op programme, UCSI University is one of the best universities in Malaysia to study Mechatronic Engineering. UCSI University also offers scholarships to deserving students. the Board of Engineers Malaysia. The teaching and learning strategies and assessment are designed depending on and according to the nature of course or topic being taught or investigated. UCSI offers excellent engineering facilities for her students. In a nutshell, a mechatronic engineer is responsible for combining the elements of mechanical engineering and electronics engineering to design and develop mechatronic products. Elements of electrical engineering and computer science (in the form of software design and software engineering) play a part in the daily work of mechatronic engineers too. Likewise, a Robotic Arm is a prime example of a mechatronics system because it includes aspects of mechanics, electronics, control and soft-computing to do its day-to-day jobs. Engineers from different fields of expertise work in teams on projects. For example, in a project, the Electrical & Electronics Engineer will give an in-depth analysis on the Electrical characteristics while the Mechanical engineer focuses on the physical mechanics. The software engineer will provide the software for the machine to function. With knowledge from all areas, the mechatronics engineer will be an ideal project manager. 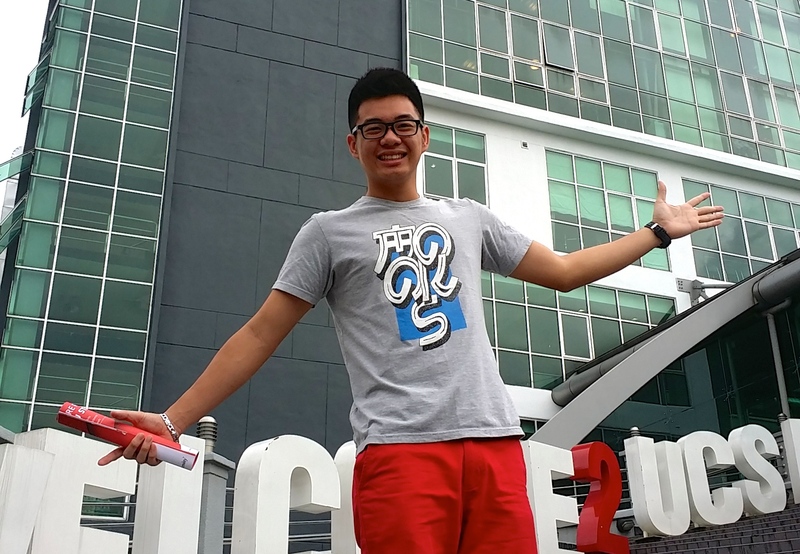 The winning Malaysian entry in 2014, submitted by UCSI University engineering student Desmond Tan Mun Yung, was a full-body “exoskeleton” which aims to help disabled patients with movement. The career opportunities for mechatronics engineers in Malaysia is wide and a huge range of applications, from robotics in manufacturing and automation to the automotive, aerospace, medical and leisure and entertainment industries. With your broad engineering knowledge base, you probably hold technical design and decision-making positions, often overseeing or playing a central role in engineering design teams. Mechatronic engineers work in companies that require hi-tech input into what they are developing. They may work in a laboratory, a processing plant or an engineering office but are also research opportunities in emerging fields like bioengineering, nanotechnology and robotics. You will find Mechatronic engineers in large global enterprises developing futuristic vehicles, challenging defence technology and revolutionising consumer products. They may also work in smaller innovative ‘high tech’ companies supplying software, parts and equipment. They could be product developers, work in manufacturing, or mining or defence industries, and in government and industry research groups. Mechatronic Engineers may be required to travel to present at a conference or view a new design idea or innovative technology. Mechatronics graduates can work as Systems Engineers, Project Engineers, Industrial Engineers and Control & Instrumentation Engineers within organizations such ABB, Alstom, Dyson, First Solar, GE Intelligent Platforms, Honeywell, Infineon, Intel, Jacobs Engineering, M+W, Petronas, Shell, Siemens, Sunpower, Yokogawa, etc.